We organized a girls trip to Palm Springs in May to celebrate a milestone birthday. Let me tell you what, it's challenging to find a domestic location that's consistently warm in the Spring, a direct flight from MSP, and offers a range of activities for a group. But Palm Springs fits the bill. Both Delta and Sun Country fly non-stop from Minneapolis October to April, and often they offer those flights well into mid-May. Navigating the Palm Springs airport is quick and easy because it's tiny. We were through the Hertz rental car line with our checked bags, and by the pool with a cocktail within the hour. Renting a car is the best option if you want to travel outside of downtown for shopping or hiking, but if those activities aren't on your list, you can easily go without. Most places are walkable and there are plenty of Uber drivers. 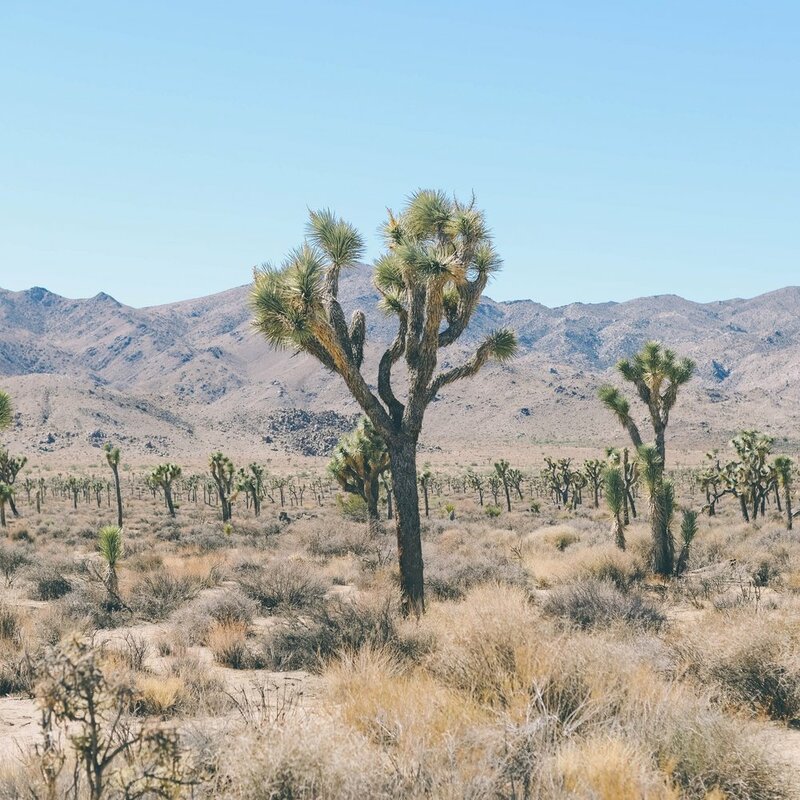 The weirdly beautiful Joshua Tree is native to this area of California, but you can also catch a glimpse of one of these beauties in Nevada, Arizona and Utah. Interestingly enough, the National Park website refers to the Joshua Tree as a Yuka Palm. Which got us wondering if it was actually a tree at all? Turns out it's not. It's a plant. Who knew? Centrally located only a few blocks from downtown, The Avalon offered our group an opportunity to stay together in attached two-bedroom bungalows. While the location and property are beautiful, the off season staff was a bit inconsistent and the buildings could use some TLC. There are three lovely pools on the property, one for families only. Several of us enjoyed the quaint spa and private garden, where we would recommend booking a private yoga class with on-site instructor Steven Howlett. Rtip: Walk across the street to the Bevmo for beverages to stock your suite's kitchen. Just down the block we were able to sneak a peek at the newly re-imagined La Serena Villas. Comparably priced and equally gorgeous, this gem is now open and absolutely on our list for next time. Leave the kiddos at home, this is an adults only resort. Finally, it's worth mentioning that the on-site restaurant, Azucar is incredible and you don't need to stay there to enjoy a meal. If you're traveling with a group that includes kids we suggest you consider this stunning, mid-century modern airbnb they call, The Butterfly House. Friends of ours recently enjoyed a weekend there at the outdoor fire pit, in the Jacuzzi, and playing poolside at the full size bocce court. Another great option (keeping with the naming trend) The Flamingo House is a little smaller and less expensive but equally amazing in it's location and amenities. Now it’s hard not to mention a third option when you consider, Mod Mesquite and it’s gorgeous design, stylish furnishings and awesome location. I’m thinking girls trip, part two. 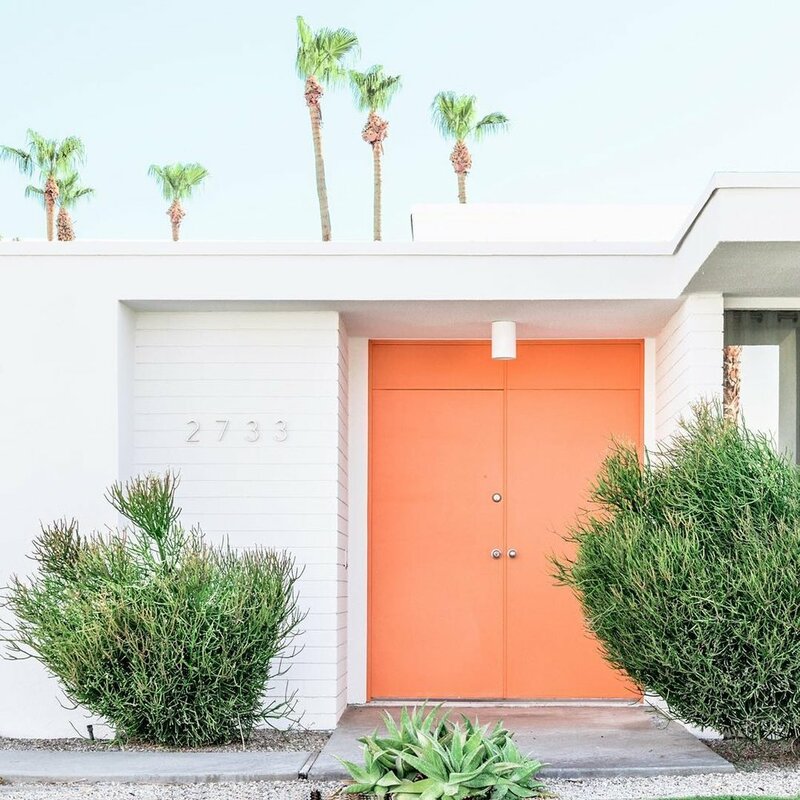 If you are not set on staying downtown Palm Springs, consider booking a stay at one of the impeccably designed, spectacular airbnb properties, known as The Joshua Tree House / Casita / Hacienda. These homes are located just outside the west entrance to Joshua Tree National Park and present an affordable opportunity to experience fine desert living in a truly magical setting. Rtip: If you are looking to use up reward points we adore La Quinta Resort in nearby Palm Desert. You can read all about how and why in our post about the five best hotels to use your Hilton Honors Points, here. The group agreed on a morning hike in Joshua Tree National Park. There are three visitor centers in the national park, each roughly an hour from downtown Palm Springs and open year round. The hike we took, was an easy loop called the High View Nature Trail. We leisurely walked 1.3 miles in 45 minutes and this hike would be completely manageable for kids (with a hat on). The trail is accessed through the Black Rock Visitor center and campground, which was a bit nearer to Palm Springs than the other more moderate hikes we considered. It was unusually hot, so we went very early in the day. If you head to Joshua Tree National Park early enough to to make a stop for lunch on your return, the only place to go is Pappy and Harriets. If you endure a sizable hike, then you deserve to order the Mac and Cheese and a Margarita. Set on an old Western movie set in Pioneertown, this place is great for adults and even more fun for kids. Thursday - Sunday they open at 11am, but their hours vary so check the contact page before you go. Live music nightly. 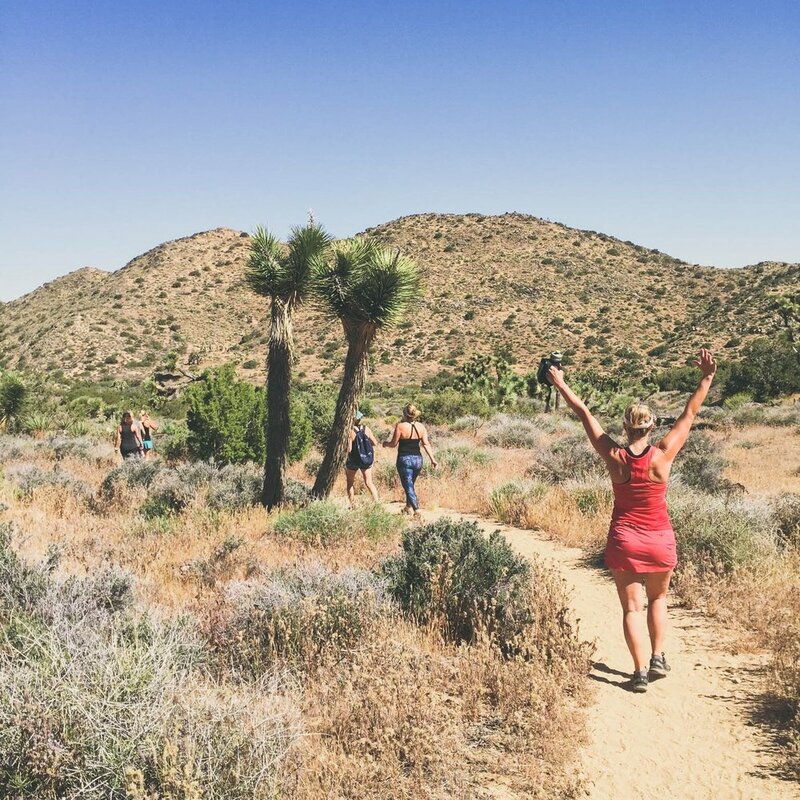 If you aren't hung up on hiking Joshua Tree, Indian Canyons offers several varied trail options through a lush oasis of amazing fan palms. The Tahquitz Canyon hike will take you on a two mile loop to see a 50 ft waterfall that's well worth $12. The best chance to see the waterfall is in late Winter or early Spring. Alternatively, you can hike Mount San Jacinto State Park from the top of the Aerial Tramway. It's a short walk to the Long Valley Ranger station where you can access the hiking trail system. RGuide Jenny Lee is our hiking and State Park Contributor and she suggests the Round Valley Loop. Fun fact, the famous Pacific Coast Trail (think Wild) passes through 5 CA parks, this being one of them. We had every intention of biking around Palm Springs, in fact most of the downtown hotels offer free use of their on-site bikes. If it hadn't been 8 million degrees when we visited, our plan was to have rented bikes and taken the self-guided tour of all the classic mid-century modern architecture in Palm Springs. Next time I guess. 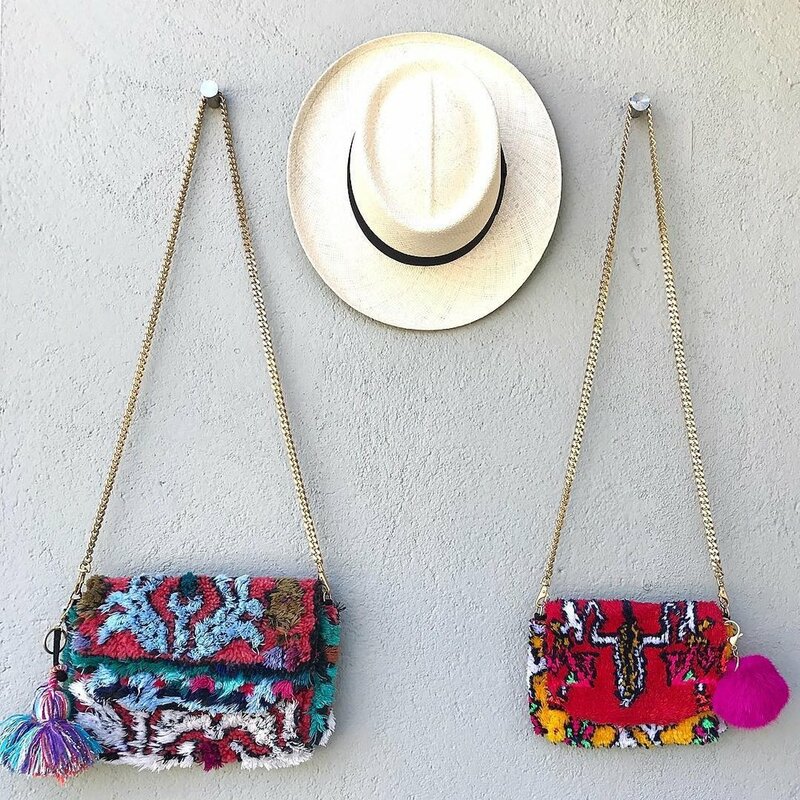 Outside of the trend setting that goes on at Coachella during April, there is not much for boutique shopping in Palm Springs. One concentrated place to get a shopping fix is at The Shops @ Thirteen Forty Five. Our favorites of these collective design shops include the pots and mugs at Double M Pottery, and the pillows, rugs and bags found at Soukie Modern. Before finding The Shops @ Thirteen Forty Five there was only one women's clothing store on our list, Elizabeth & Prince with three locations in the area. If the dry heat pulls you indoors to shop, we recommend the Desert Hills Premium Outlets just 30 minutes West of Palm Springs. While outlets are not usually on our itinerary, there are a few stores here worth the visit including, AG jeans and Lulu. Additionally, we never miss an opportunity to shop a Barneys Outlet with less than 10 warehouse locations nationwide. Finding souvenirs is not a problem and we found the best options can be purchased at Destination PSP, an easy walk downtown from our hotel. The Farm was so good we went there twice. Between the seven of us, I think we tried everything on the menu. Fan favorites included the chicken and waffles and the chicken salad sandwich, but honestly you can't go wrong. If you don't have a reservation, be prepared to wait. To pass the time we put our name on their list and walked around the corner to Peabody's to enjoy their famous bloody mary. We celebrated our birthday girl at the Workshop Kitchen and Bar. Their event planner, Alec organized the all details for our party, which included a pre-fixed dinner and a punch bowl of their house-made Pisco Punch. Their outdoor patio is splendid and we suggest ordering the house-cured gravlax tartine as well as the market soup. 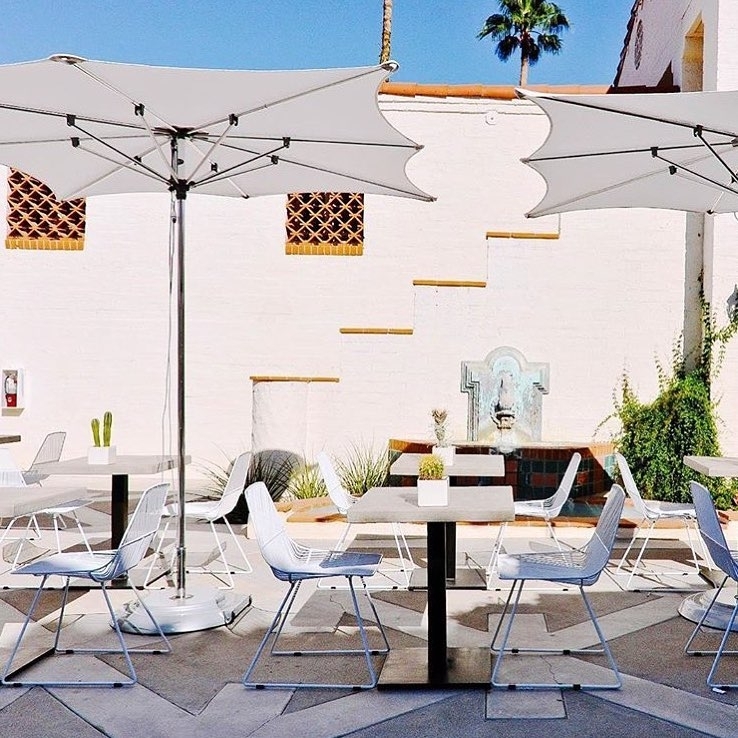 Another notable restaurant with a beautiful outdoor space and amazing food is Birba. Order the butcher block for the table right away. Make sure you try the meatballs and someone picks something from the le pizze menu. Oh, and make sure you have a reservation. We went here for lunch but dinner is the same menu, and it's so delicious. We each got a different dish to share and they all were amazing. The Shawarma spiced lamb, the burnt eggplant starter, the Adobo fried chicken OMG, now I’m hungry. Open only for dinner this fusion Vietnamese restaurant has a constantly changing menu with fresh ingredients and a great selection of cocktails and beer. They don't allow reservations but they move fast. No cash. Tiki torches and quirky cocktails adorn the fabulous patio and kitchy interior of what was once Don the Beachcomber's original restaurant, built in 1953. The Bootlegger Tiki Bar still honors the New Orleans native who single-handedly invented the tiki bar in 1934. 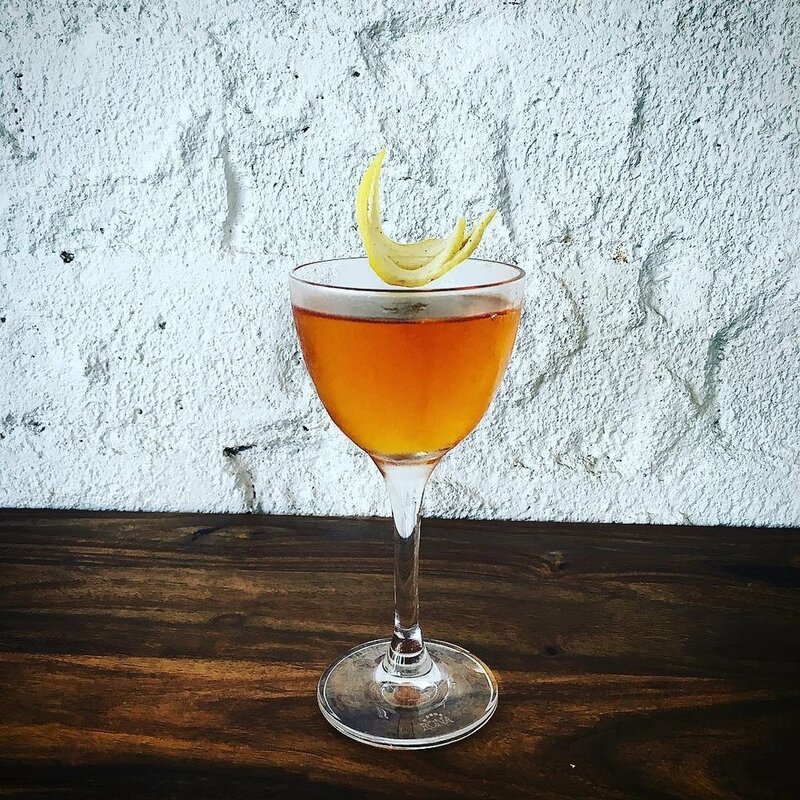 Once a month during the spring you can take a cocktail class lead by head bartender Chad Austin. Our favorite libations include, Desperados Downfall and Gangsters Paradise, and don't forget to order the toffee peanuts. Coincidentally located in the same building as the Bootlegger Tiki Bar, Ernest Coffee offers the best cold brew and pastries in Palm Springs. If you're going to leave the hotel to grab coffee in the morning this is the place to head. Lip balm, a personalized Corksicle, cooling spray, a great bag and lightweight cover-up. For hiking we suggest a waist pack for your water bottle so you can be hands-free for selfies. Next time we'll venture out to the Palm Springs Arial Tramway to take in the amazing views. It's only a 10 minute ride up the cliffs of the Chino Canyon to visit the observation deck and hit the gift shop. 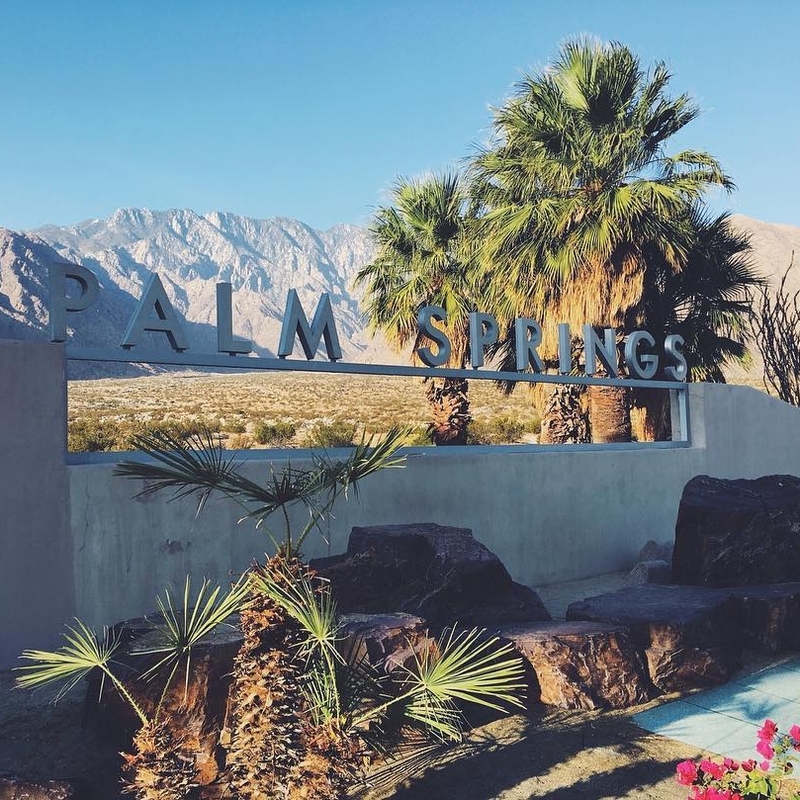 At the very least, we'll go to cool down at an elevation of 8,500 ft.
Tell us your favorite places to roam in Palm Springs by commenting below. 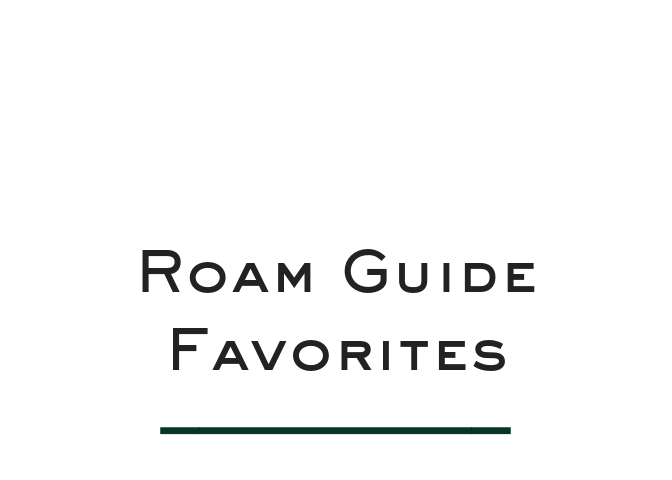 Simple travel based content for the neighborhood wanderer, regional explorer & global scout. A resource to escape, shop & plan your next adventure. May 16 Roam 2 Ways / Washington D.C.